If you’ve got little kids then you’ll know that CBBC is one of the best TV channels for your kids, not only is it educational but it also keeps them quiet. While the little ones have CBeebies, CBBC is the go-to kids channel for anyone prior to the teenage years. However, if you’re outside the UK in say America, Australia or anywhere else you’ll find CBBC is blocked. Even with recent EU portability laws the CBBC website or app isn’t even available in the EU. In this guide I’ll be showing you how you can watch CBBC abroad in any country in the world. For this you’ll need a VPN service and below I’ll explain the entire process. You’ll need to get yourself a VPN service. This is a small app that you download for your device that lets you disguise your location. Using a VPN you can pretend you’re in the UK so rather than be blocked from watching CBBC, you’ll (or your kids at least) will be able to watch CBBC abroad anywhere in the world. The first step is to choose a VPN, there are literally hundreds of companies which sell them but not all are suitable for watching CBBC. I recommend using ExpressVPN because they’re easy to use, reliable and work with a wide range of devices. 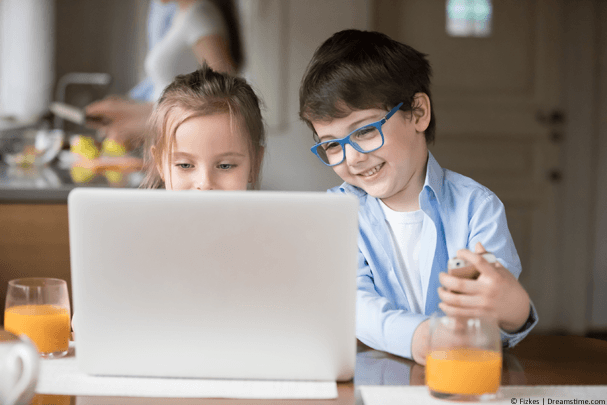 However, if you’re a savvy shopper and you’ve got time on your hands then you’ll want to check out the competition so below are my top 3 picks for VPN services to watch CBBC abroad. 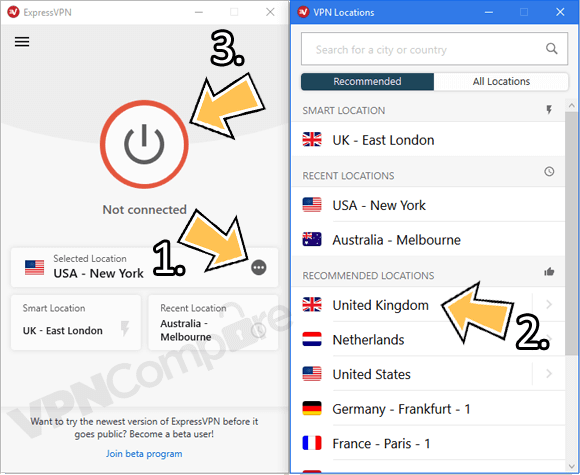 Simply select one or if you’re unsure just select ExpressVPN. They’re my recommended choice and they’ve got a 30-day money back guarantee. Once you’ve selected one and signed up follow the steps below. Now you’ve signed up to one of the providers above just follow the steps below. Skip the first step if you’ve already signed up. Download their app for your device from the ‘Products’ section of their website. Select Choose Location (1) and then select United Kingdom (2). Press Connect (3) and wait for the app to connect. Watch CBBC in any country with ExpressVPN. Now you’re connected to the ExpressVPN app it’s simply a case of either visiting the BBC iPlayer CBBC page where you’ll be able to watch any programmes you want. Or opening the BBC iPlayer app on your mobile, tablet or Amazon Fire TV Stick. Your kids can watch as much CBBC as they want without restriction. It’s worth noting that not only can your kids watch CBBC using this method but you’re also free to watch the rest of the BBC iPlayer website abroad yourself. This includes BBC One, Two and all the other channels. You can even access other services like ITV, Channel 4 and others too. All three recommended VPN providers offer apps for Android and Apple iOS phones and tablets and Windows and Mac OS computers and laptops. ExpressVPN has the additional benefit of having a dedicated Amazon app which works with the Fire TV and Fire Stick. This means you can watch CBBC on a Fire TV or Fire Stick on your TV. You can download the ExpressVPN app directly onto your Fire TV device and then connect to the United Kingdom as advised above. You’ll need to download a web-browser such as Firefox or Silk Browser and access BBC iPlayer via their website because it won’t work directly by using their Fire TV app. If you want to watch CBBC abroad you need to get yourself a VPN service. This will allow you to disguise your location so it appears like you’re in the UK. It will work from any country including America, Australia, Spain or anywhere else in the world. I highly recommend you sign up for ExpressVPN because they’ve got a 30-day money back guarantee in case you can’t get it working. They’ve also got a really cheap deal if you take their 12-month package. It comes with 3-months free saving you 49% over paying on a monthly basis. If you’re an expat then that’s a huge saving. Click the button below to visit the ExpressVPN website and sign up for their service. If you don’t want to save 49% then just choose their monthly package. Once you’ve signed up download their app for your device and connect to the UK. You can now watch CBBC on BBC iPlayer and keep your kids happy wherever you are in the world. What country are you watching CBBC in? I would love to know so why not post in the comments section below?